Hey guys! 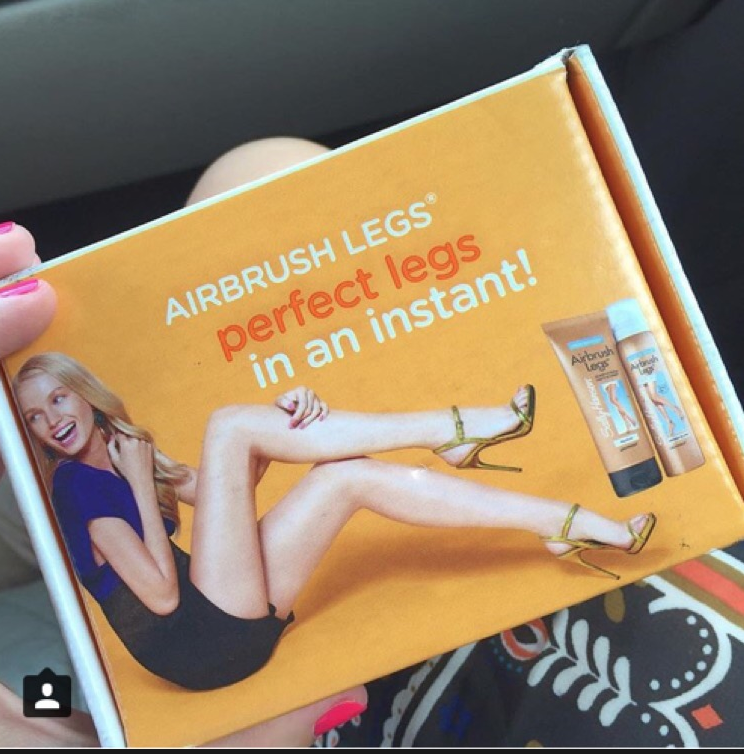 So I recently signed up w/ Influenster and received this complimentary Sally Hansen Airbrush Legs in the mail for review. I did receive this product for free, however, in this blog post I will be discussing my honest opinion about my Influenster Vox Box and what I thought about the product. In my Vox Box, I received Sally Hansen Airbrush Legs in Medium with a $2.00 Sally Hansen coupon for a repurchase. I also received a handout from Influenster saying what the product does, how I can receive points and badges, and similar products by Sally Hansen that I might enjoy. 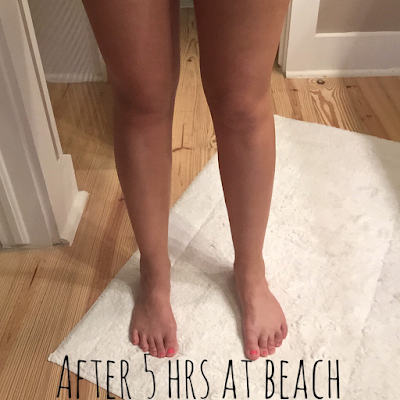 To apply, this product you just get a quarter size amount and apply it evenly with your fingertips from top to bottom of the leg. After application, simply just scrub your hands with soap and water. When I noticed I got the shade medium, I was a little worried it would be too dark but it actually turned out to be very natural looking. In the picture below you can see the left leg of what my skin looked like before and after the application to the right. It covered bruises, veins, and any discoloration while giving it a more even, tanned appearance. 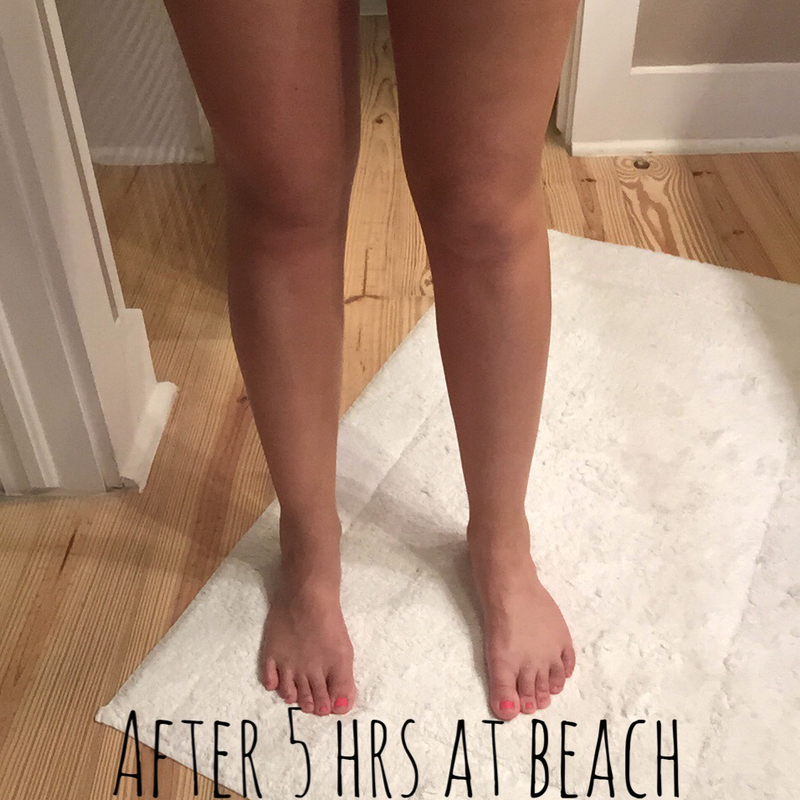 To put this product really to the test, I decided to use it before a full beach day. The product says its waterproof and transfer resistant so I figured the best place to test it is the beach! The whole day we were in and out of the water and I was reapplying sunscreen. The first time I dipped in the water it actually held up very well. The leg makeup looked exactly the same as it did 2 hours before. After a reapplication of sunscreen and another dip in the ocean, I could see the leg makeup wearing off. When I got out of the ocean my legs looked kind of blotchy. For the most part, it held up pretty well considering we were at the beach! This product did everything it said it would. The product stayed really well I was at the beach all day. I would definitely repurchase this product especially for special occasions in a lighter shade. Overall, I am happy with the product. Stop by here again tomorrow to see 10 products under $10!